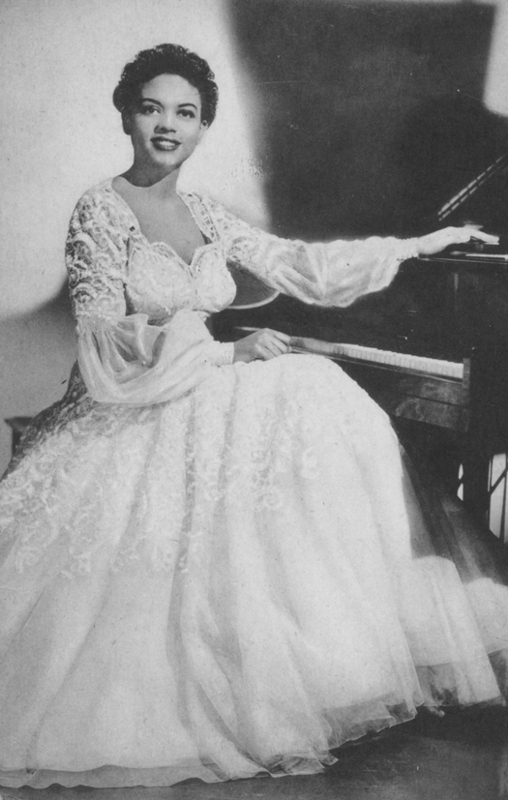 Hazel Dorothy Scott (June 11, 1920 – October 2, 1981) was a Trinidadian born jazz and classical pianist and singer; she also performed as herself in several films. She was prominent as a jazz singer throughout the 1930s and 1940s. 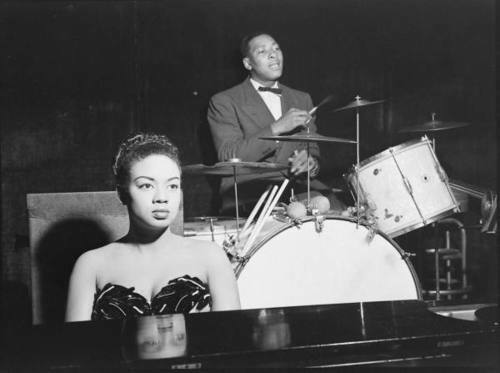 In 1950, she became the first woman of color to have her own TV show, The Hazel Scott Show, featuring a variety of entertainment. To evade the political persecution of artists in the McCarthy era, Scott moved to Paris in the late 1950s and performed in France, not returning to the United States until 1967. 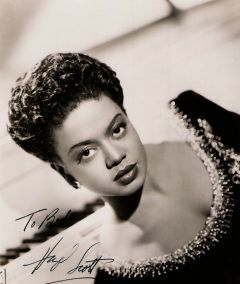 By the age of 16, Hazel Scott regularly performed for radio programs for the Mutual Broadcasting System, gaining a reputation as the “hot classicist.” In the mid-1930s, she also performed at the Roseland Dance Hall with the Count Basie Orchestra. Her early musical theatre appearances in New York included the Cotton Club Revue of 1938, Sing Out the News and The Priorities of 1942. Throughout the 1930s and 1940s, Scott performed jazz, blues, ballads, popular (Broadway songs and boogie-woogie) and classical music in various nightclubs. From 1939 to 1943 she was a leading attraction at both the downtown and uptown branches of Café Society. Her performances created national prestige for the practice of “swinging the classics”. By 1945, Scott was earning $75,000 ($968,207 today) a year. In addition to Lena Horne, Scott was one of the first African-American women to garner respectable roles in major Hollywood pictures. She performed as herself in several features, notably I Dood It (MGM 1943), Broadway Rhythm (MGM 1944), with Lena Horne and in the otherwise all-white cast The Heat’s On (Columbia 1943), Something to Shout About (Columbia 1943), and Rhapsody in Blue (Warner Bros 1945). In the 1940s, in addition to her film appearances, Scott was featured in Café Society’s From Bach to Boogie-Woogie concerts in 1941 and 1943 at Carnegie Hall. 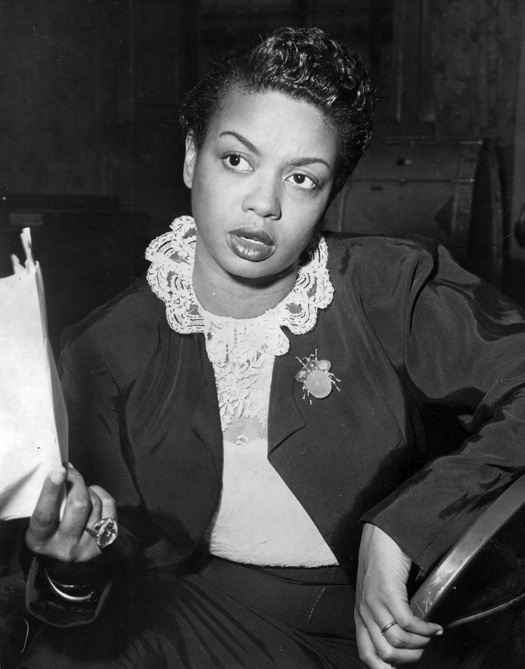 She was the first woman of color to have her own television show, The Hazel Scott Show, which premiered on the DuMont Television Network on July 3, 1950. Thereafter, she guest starred in an episode of CBS’s Faye Emerson’s Wonderful Town musical series. With the beginning of political intimidation during the years of Senator Joseph McCarthy’s influence, Scott was called to testify by the House Un-American Activities Committee (HUAC). Her television variety program was cancelled soon afterward on September 29, 1950. This was also a time of continued racism in the advertising industry and economic hardships for jazz musicians in general. Scott remained publicly opposed to McCarthyism and racial segregation throughout her career. To evade the oppression in the United States, Scott moved to Paris in the late 1950s. She appeared in the French film Le Désordre et la Nuit’ (1958). She maintained a steady but difficult career in France and touring throughout Europe. She did not return to the US until 1967. By this time the Civil Rights Movement had led to federal legislation ending racial segregation and enforcing the protection of voting rights of all citizens; most African Americans in the South could vote again, after nearly 100 years of many being excluded from the franchise. Other social changes were underway. Comment by doc: The camera angles chosen by the director cut Charlie Mingus and Rudy Nichols out entirely for much of “A Foggy Day,” although during the long solo beginning at about 2:00 some of the right hand work of Mingus on bass, and the brush work of Nichols, can be seen in the background past Scott. Someone is heard scatting too during the break, probably Mingus. 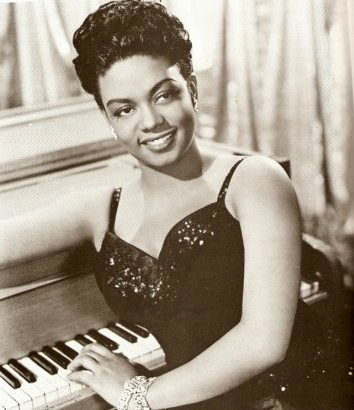 The lovely and late pianist Hazel Scott scored big time with her appearance in the George Gershwin bio classic Rhapsody in Blue . Here she performs The Man I Love, [a medley of] I Got Rhythm, Clap Your Hands, [and] Fascinating Rhythm, and Yankee Doodle Blues. However this in fact was the last motion picture film that Hazel Scott will ever appear in due to the fact that she was against racial stereotypes. 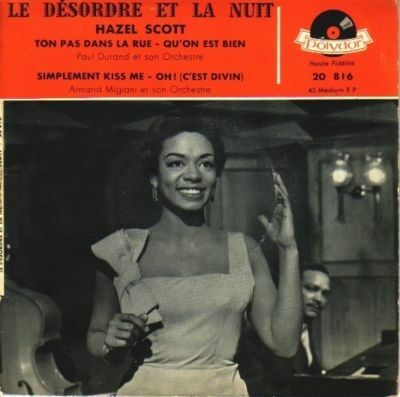 (below) In a WWII Army-Navy Screen Magazine newsreel which I’ve been unable to date, Hazel Scott inteprets an excerpt from Liszt’s “Hungarian Rhapsody No. 2,” followed by the song “Great Day” (m.Vincent Youmans. w. William Rose and Edward Eliscu) from the 1929 musical of the same name. As I browse through all of your pages, I am thrilled at the amount of researched information, rare photos, and videos you have compiled in honor of the artists and music of the years you cover to preserve them for posterity. I’m very happy to have found your web page. If you haven’t yet, a page on the great Turner Layton would be wonderful. Thank you.